3. Appoint a strong internal project team. The project manager must understand the project, be organized and detail-oriented, know when to take the lead, and be able to negotiate. Add representatives from key business areas—operations, purchasing, inventory control, and customer service—to round out the group. 4. Create internal mapping. Establish a clear vision of your organization’s processes, and identify the challenges. Then define new workflows to support improvement goals. 5. Determine equipment needs. For example, if you need real-time inventory data to meet performance goals, and you decide to implement mobile solutions and radio frequency identification (RFID) technology, the ERP you choose will need to support these tools. 6. Define the budget. Ensure all relevant costs—such as hardware, software, third-party implementation, and training—are included. 7. Engage the entire company. Keep the project team informed, but also periodically update the whole company about the ERP implementation’s progress. Communication will help create a positive teamwork environment for all involved. 8. Resist the urge to use all the bells and whistles right away. Some companies try to implement all the ERP system’s features and functions from the start. Just because the system offers mobile-friendly apps, RFID integration, and retinal scan security, doesn’t mean you need to use it. Pick the mission-critical functionality, then deploy less-critical functionality later. 9. Update business processes selectively. Carefully weigh whether to customize the software to conform to your processes, or change your processes to work within the standard solution. Your process may better suit the operation than the ERP’s best practice does. In general, the biggest improvements usually involve some level of reevaluating business processes in light of current conditions. 10. Evaluate regularly. Create a plan to periodically evaluate the system. Include participants from all areas of the organization to gauge how well the system is working, decide what you need to change, and identify functions to implement in the future. The convergence of cloud and mobile computing will continue to promote the growth of centrally coordinated applications that can be delivered to any device. 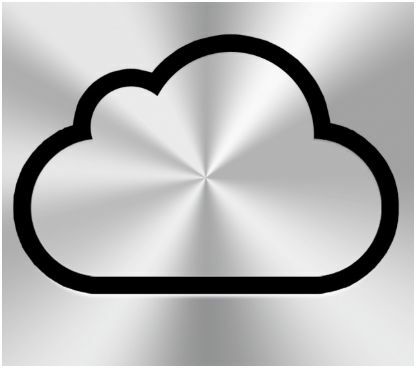 “Cloud is the new style of elastically scalable, self-service computing, and both internal applications and external applications will be built on this new style,” said Mr. Cearley. “While network and bandwidth costs may continue to favor apps that use the intelligence and storage of the client device effectively, coordination and management will be based in the cloud.”In the near term, the focus for cloud/client will be on synchronizing content and application state across multiple devices and addressing application portability across devices. Over time, applications will evolve to support simultaneous use of multiple devices. The second-screen phenomenon today focuses on coordinating television viewing with use of a mobile device. In the future, games and enterprise applications alike will use multiple screens and exploit wearables and other devices to deliver an enhanced experience.